Don't get me wrong, I love living in Chicago. For as long I can remember, I have been talking about leaving Texas and moving to a large city. I love walking to everything and having so much around me. There is so much culture and variety and new experiences everyday! Amazing right? Now all of that being said, these sub-zero Chicago temperatures are killing me! This Texas born and raised girl is totally not used to all this cold. I am waiting (not so patiently) for spring. 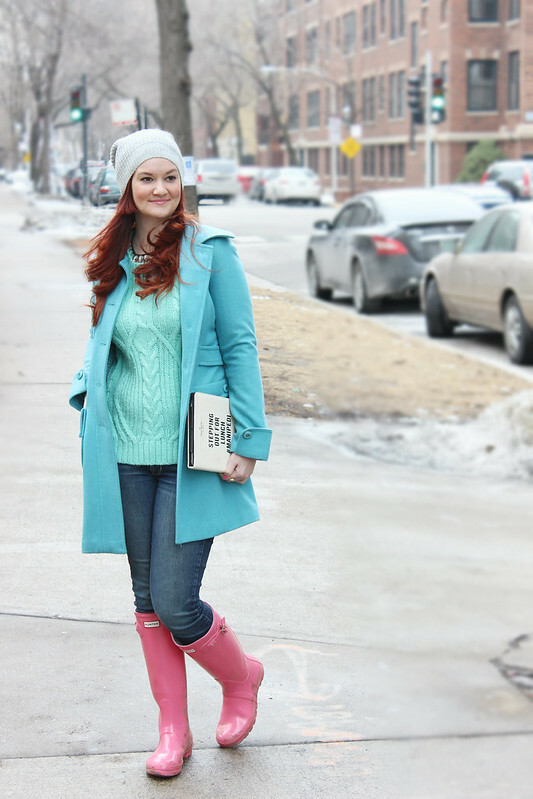 I decided to wear all pastels in protest of this negative degree weather! I figure it looks so darn cheerful that maybe spring will want to come early. That's the way it works, right? If it makes you feel any better, I'm originally from the equally-cold Detroit area, and I'm still freezing my buns off. Haha, that definitely makes me feel better! I'm glad it's not just my cold-resistant nature!